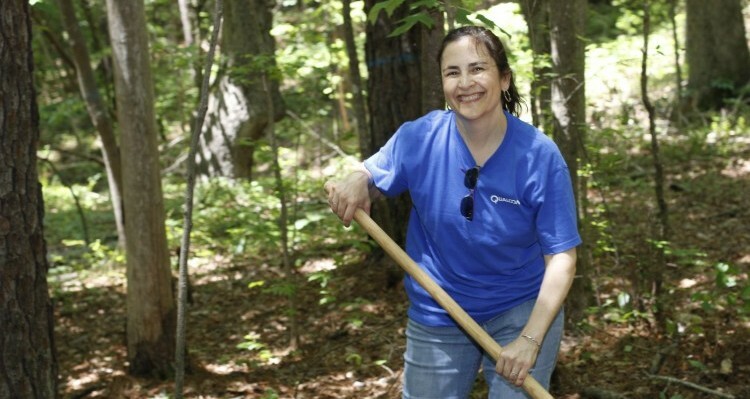 Volunteers give their time to help maintain the trails and resources at TLC preserves. Give today and help TLC conserve important natural resources in your community. It’s safe, easy, and fast for you to donate now online. You make a difference in keeping the Triangle a great place to live, work, and play through your continued commitment to conservation. Renew your membership now online. Join us now in our work to conserve wild and working lands and benefit from your commitment to conservation. You will become part of a special community of conservationists and receive special benefits when you become a TLC member now online. You can make a difference in your community, learn new skills, and have fun by volunteering with TLC. Volunteers just like you who contribute hundreds of hours each year are critical to protecting and sustaining the places we love and the lands we need. Learn how you can volunteer. Become a TLC Steward and your monthly gifts will sustain a healthy, vibrant Triangle today and for generations to come. Monthly giving is the easiest, most efficient way to support Triangle Land Conservancy’s efforts. Make a difference by starting your automatic monthly gift now. Planned gifts are a wonderful way to carry on your legacy and commitment to TLC and its mission. Those who make planned gifts to TLC become members of the Heritage Society, recognizing their dedication to protecting our land for future generations. Explore the many ways you can meet your financial goals and support the places you love through TLC. Your support is responsible for many wonderful and enduring accomplishments, and as an organization, we want to recognize the impact of your commitment. TLC’s Giving Societies represent outstanding levels of commitment, vision, and giving. Each, in turn, delivers a range of benefits and unique offers for you to enjoy. Learn how you can join a TLC Giving Society. Maybe you want to give in honor of someone special. Or maybe you want to give in memory of a loved one. A gift to TLC not only is a thoughtful way to honor or remember others, it also helps further conservation in the Triangle. Make an honor or memorial gift today by donating and specifying your recipient in the comments section. Support conservation through in-kind donations of supplies or professional skills. View our in-kind gift wishlist. Donate your car, truck, or other type of vehicle to support your favorite preserves and programs. Learn more now. TLC is a proud member of EarthShare North Carolina (ESNC), a nonprofit helping North Carolinians support the environmental groups they value through workplace giving. 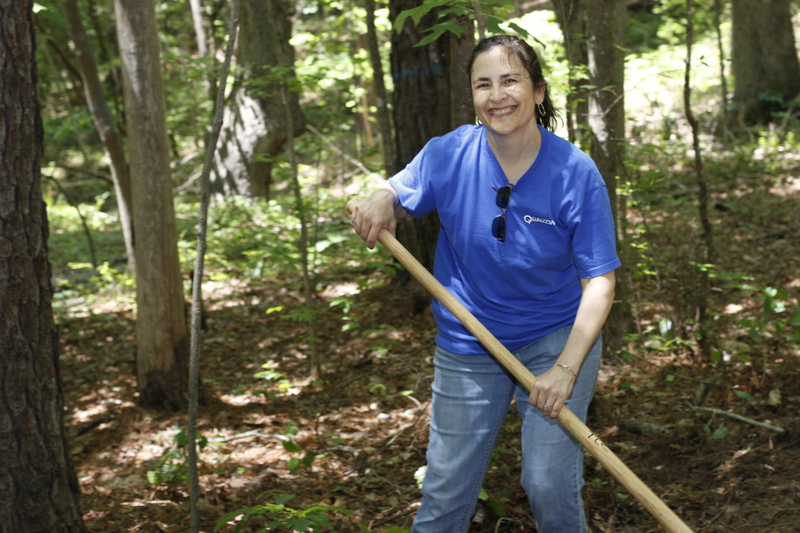 Hundreds of Triangle residents contribute annually to TLC through workplace giving – becoming partners in local conservation across all six counties of the Triangle. Learn more about workplace giving.